Taken from the Williams Custom Sound Library, it features 10 high-resolution sounds including Pianos, Electric Pianos, Organs, Strings and Bass, recorded using the finest instruments in the world with full dynamic ranges. 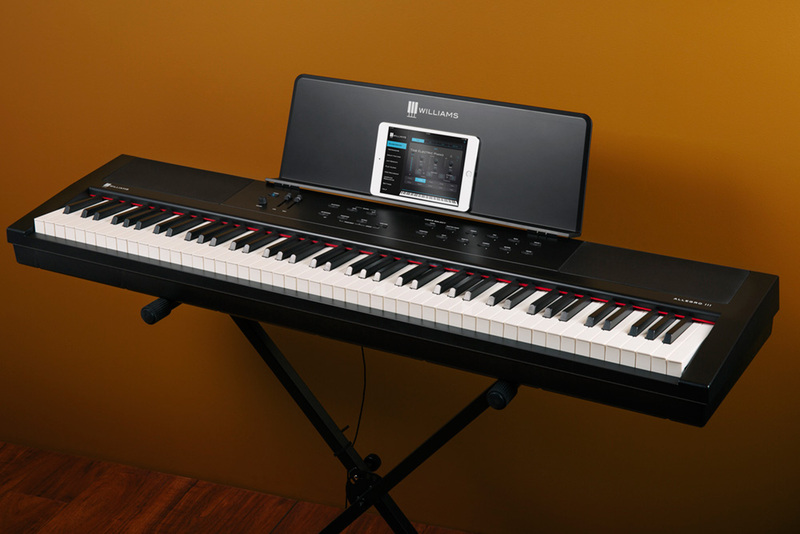 The newly improved, weighted piano-action keyboard, allows for quick, responsive feel and control over the entire key range. The dual-driver speakers deliver all those lush tones with outstanding clarity and volume. 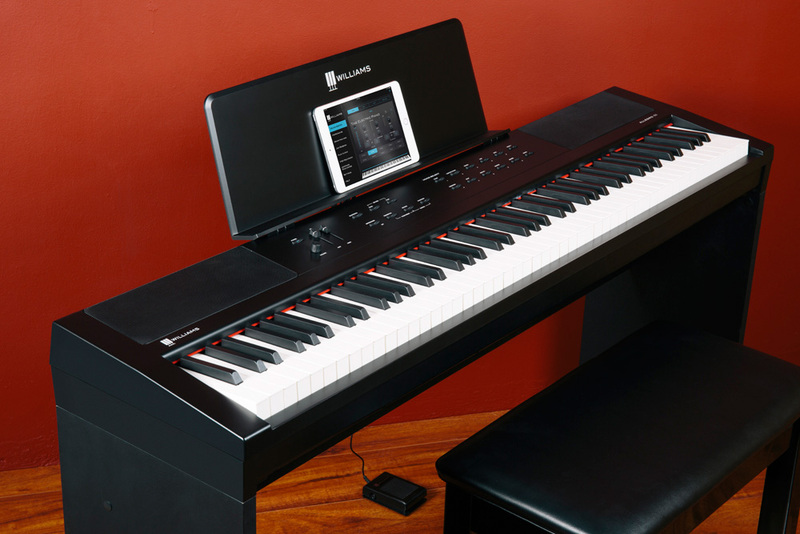 Bluetooth MIDI functionality connects the Allegro III wirelessly to your iPhone or iPad to run iOS apps such as educational software like the McCarthy Music Teaching app. 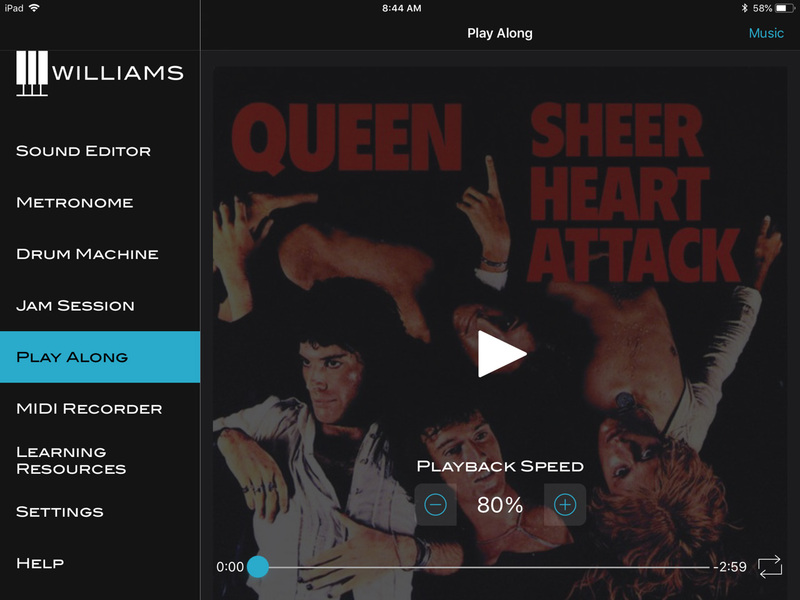 Plus, the Williams iOS app provides easy access to your Allegro III for adjusting sounds and controls as well as other features to improve your keyboard skills. The Allegro III can run on batteries or with the included AC power supply. 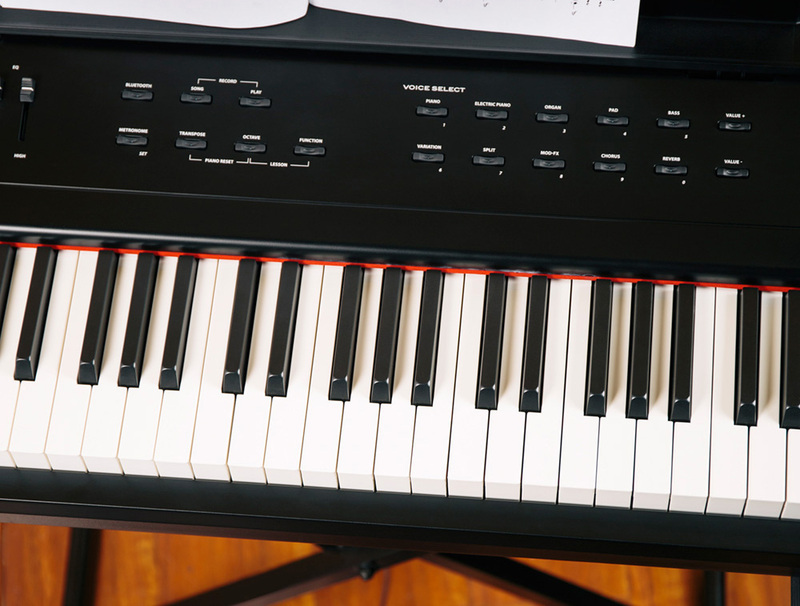 The Allegro III has an all-new weighted keybed to capture every nuance and dynamic of your performance. 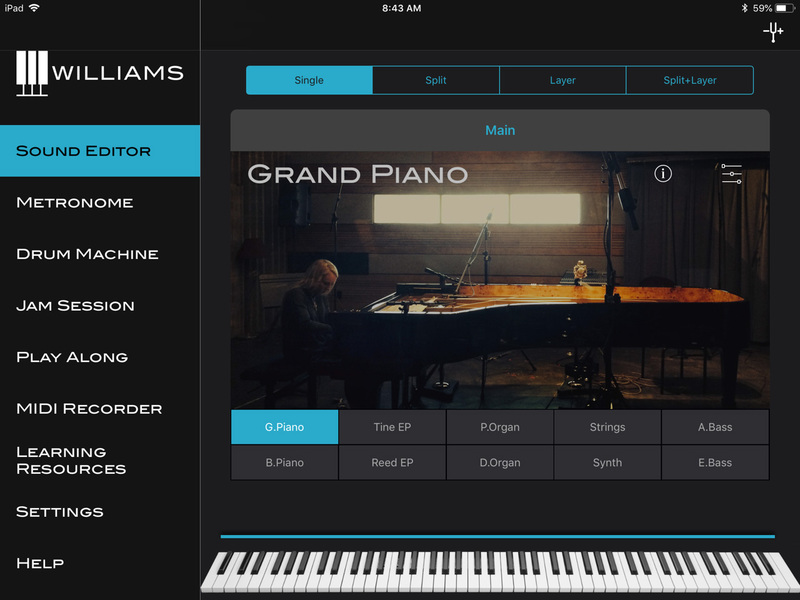 The Williams Piano app for iOS devices adds control and play-along features to the Williams Allegro III. Connect over Bluetooth Wireless MIDI to your iPhone or iPad to select, layer, and edit sounds on the piano. A collection of internal effects can be added to the built-in sounds of the Allegro III, like Tremolo, Flanger, Delay, Reverb, and Chorus. 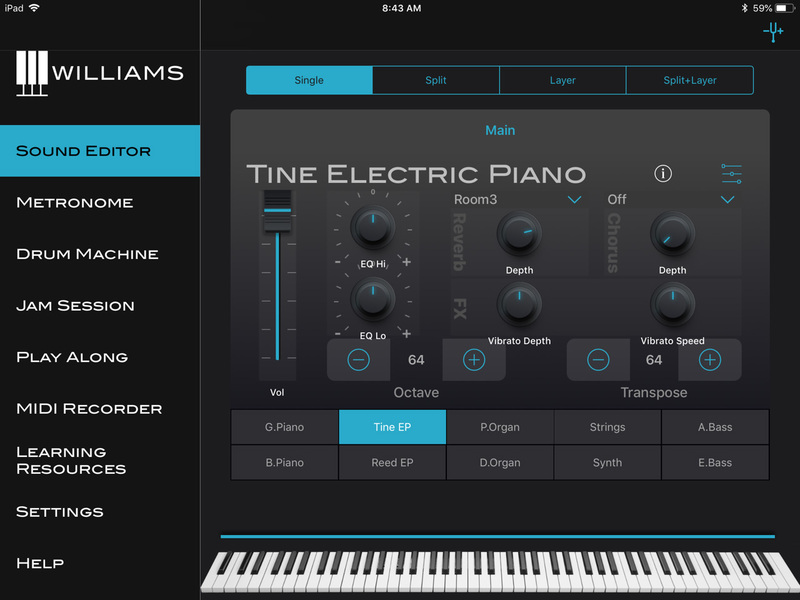 Available from the iOS App Store, the Williams Piano app is the perfect companion to your Allegro III Digital Piano.